Mark has been a part of the EtonHouse International teaching team for 12 years. 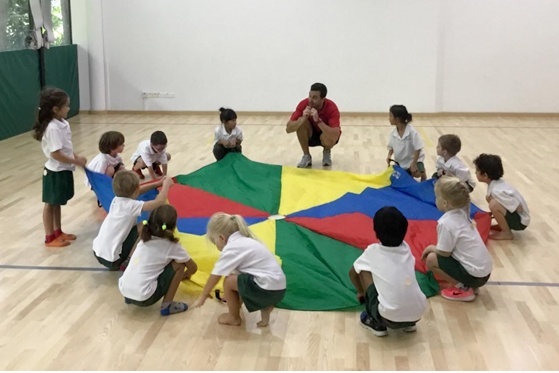 He was invited to transfer to EtonHouse Sentosa from EtonHouse Broadrick where he developed the primary PE programme to ensure a smooth and comprehensive delivery for Sentosa' new Primary Physical Education Programme launched in August 2017. Mark has worked with children from N2 through to Secondary. He believes that PE should be "safe, fun and a window to promote children’s self esteem and confidence”. Now, let’s hear from our physical education expert. Tell us about what you do at EtonHouse. children to as many Physical Education experiences as possible. This includes PE lessons, Sports Inquiry Classes and an Action Adventure program. By the time the children are in the Primary classes they are engaged in three Physical Education sessions a week. The children have an indoor PE lesson in the gymnasium during the week, inquire into sports science topics in the Sports Inquiry Suite and gain SwimSafer certifications. They are also offered opportunities to explore athletics, take part in yoga and travel up to MegaClimb to explore outdoor pursuits and team-building activities during Action Adventure. Next year we are starting a new Action Adventure Unit titled “Beach Games & Athletics”. This will involve the primary children traveling down to Siloso beach once a week in Term 3 to participate in athletic based activities and team building games against a beautiful backdrop. 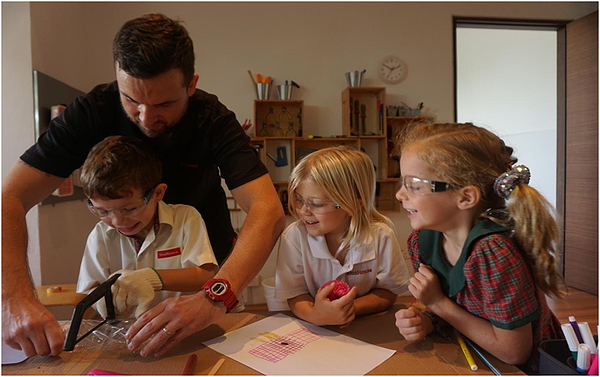 What is your favourite aspect of teaching at EtonHouse Sentosa? The fact that we are an international school on Sentosa Island amazes me. Each morning, we are greeted when we arrive at school by peacocks — that’s a great way to start the day. The community on Sentosa is also great. We are involved in lots of events around the island throughout the year. So far, the highlight this year is when we were invited to run a few stations at the SMBC Singapore Open golf tournament. Over a week, the children and teachers were able to work alongside the staff and meet the golfers. 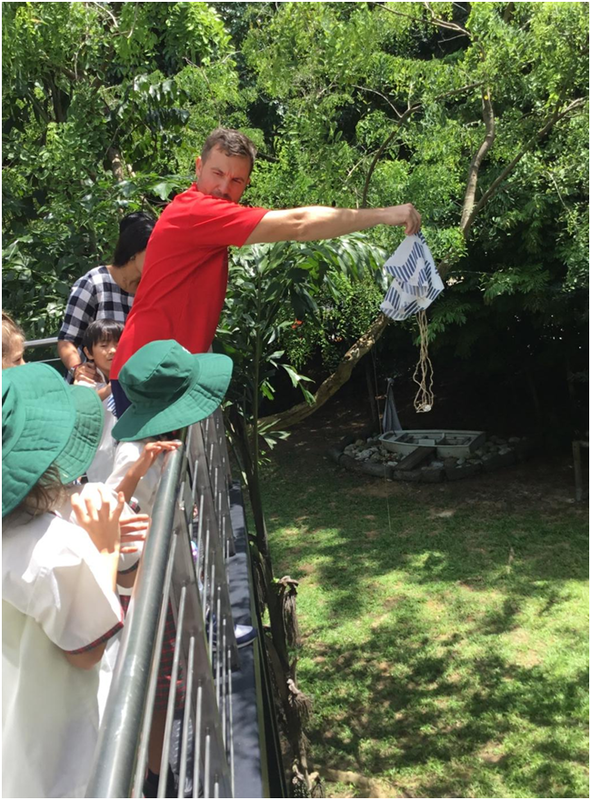 We have also recently begun an exciting relationship with MegaAdventure on Sentosa that will create many wonderful opportunities and experiences for the children and staff. What do you think makes EtonHouse so special for families? The personal touch at EtonHouse is second to none. Staff members know one another and the children around the schools very well. Every day, you’ll see teachers chatting with the children and having fun, even if the students are not in their class or year group. My son, Harrison, is in N1 at Sentosa and knows everyone — not just his class teachers but also the specialist teachers and support staff all over the campus. It really does feel like one big family. 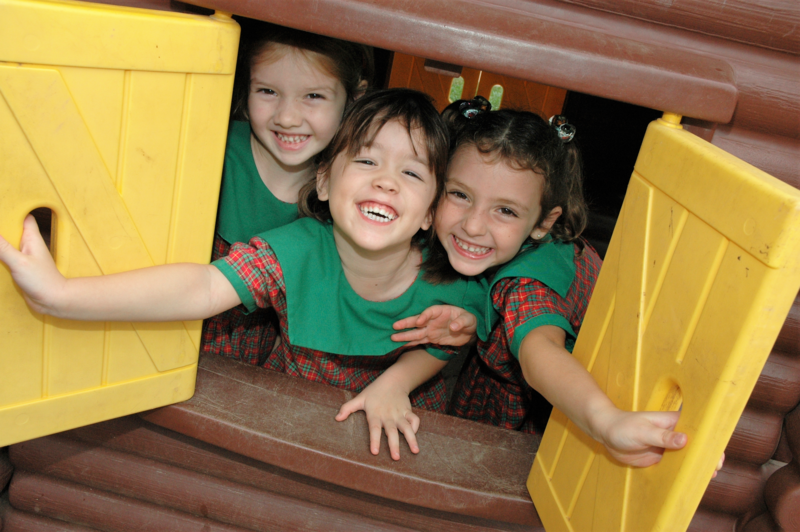 The environment nurtures confidence in children and a wonderful sense of belonging. The EtonHouse teachers are accessible to parents. As an educator here, my colleagues and I are always happy to make ourselves available for a chat. I also have to mention the school environment. I have the pleasure of teaching a few English as Additional Language (EAL) classes throughout the week and the spaces available for me to use are great. We have a fully equipped EAL classroom, as well as spaces such as the storytelling studio, light studio, atelier and the outdoor spaces. Just last week, a group of children and myself went for a walk down to the beach while playing speaking and listening games such as word association and I Spy. What are your interests away from teaching? I love spending time with my family and friends. Being in Singapore also makes travelling very easy and the places we go are truly beautiful. I completed my Private Pilots license when I was younger and still remain very keen on all things aviation. I love playing football and going to the gym but these haven’t been happening as often as I’d like since I became a father in 2015. Now, I lean towards hobbies that I can do from home such as listening to music or relaxing by the pool and reading a book, I am a very keen reader. What are your most poignant moments teaching at EtonHouse? I have been a part of the EtonHouse family since 2006. I have so many special memories that will last forever. Our first overseas football tournament in Vietnam was very special, winning the Athletic Conference of Singapore International Schools Division 1 football league and becoming the strongest U10 football team in Singapore was a highlight too. We also did a sports community building trip to an orphanage in Cambodia one year. We travelled to Phnom Penh with a large group of children and facilitated a PE clinic over the course of a few days for the children there, while they taught us how to tend to crops and to prepare food from scratch and cook on a log stove. We finished our trip by playing basketball and football games in a rice paddy field. Such special moments will last a lifetime. Many know Singapore as a bustling city crowded with skyscrapers. What are some little known places where parents can take their children to for some physical activity? Well a great place to start would be Sentosa Island. It’s one big playground with many attractions and activities to do with your family. My family spends a lot of time down at East Coast Park and Pasir Ris Park where there are really good playgrounds that children can explore, as well as open spaces to kick a ball around, run, or play catch. With Singapore being so hot, another big hit for us is the water parks. There are some great water parks dotted around the island that are free to enter. I’ll definitely recommend the water park at Gardens by the Bay where you can take a lovely walk, play in the playground or water park or just relax in the café and as your child plays! Give us three parenting tips you’ve picked up as an educator. Expose your children to as many experiences as possible, support and encourage them but don’tpush them into anything that they are unsure about because this normally results in a loss of confidence or interest. This is one of the many reasons why we love travelling as a family. 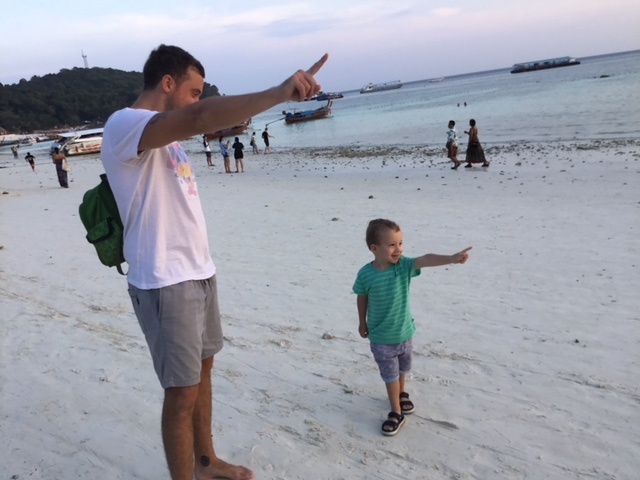 Going to new countries, seeing different cultures and meeting new people is great for our son’s learning journey. Play at home. This is great family time that will boost your children’s confidence and help with physical development. Make obstacle courses in your living room with cushions, cardboard boxes, toys, or other objects that your child can run around and climb over. Build cabins, tents or huts. Play pretend games -- animals are normally a big hit: "Can you jump like a frog or kangaroo? Gallop like a horse? Walk like a crab?" Play ball, games that involve kicking, throwing, and catching are great for eye-hand coordination. Respect and listen to your children. They will surprise you with their knowledge and understanding when you listen to what they say. In order to teach children to treat others with respect and dignity, they must also be treated with respect and dignity. Childhood is a time for children to learn about the world, including how to get along with others. As parents, we play an essential role in teaching children how to form healthy relationships and grow into socially adept individuals. This social competence allows children to be cooperative and generous, to express their feelings, and to empathise with others.